Not to be confused with the Red-Headed Woodpecker, whose head is completely red. This bird is identified as a male since the red swath extends clear to his bill. I like the zebra striping. 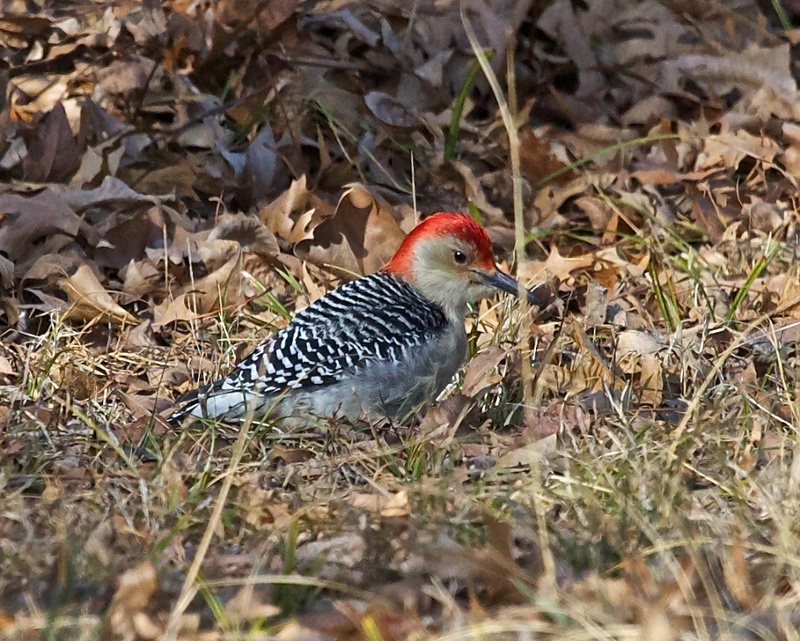 I spotted this bird in the Double Creek area of Oologah Lake.